1977 Graduated (with honors) from the Faculty of Architecture and Town Planning, Technion, Haifa. Have been working in the profession since the beginning of my studies including work on construction sites and filling managerial, organizational and public positions. 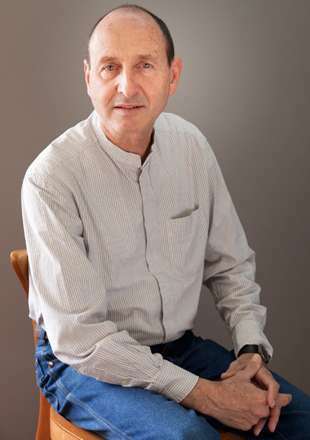 Architect and senior town planner in the Planning Division of the Kibbutz Movement and later began working at AlefBet Planners since its establishment in 1991. A blueprint for bike paths "Shvilei Hevel Modi’in "
Mashabim forest, Mishmar Hanegev forest, Lahav-Shomria forests, ofakim forest. "Reviv" - Revivim' ; "Sagiv” – Mashabei Sade, "Plazit" – Gazit; "Ortal" - Neve Or; "Netafim" - Magal (offices) ; Structures for engineering facilities, cowshed – Revivim; "Ma’adanei Bar"; industrial zone and storage – Einat; "Paltziv" – Ein Hanatziv; Optica Eyal, Eyal Microwave, "Hazera" - Brurim - blueprint, lab center, head offices, production-treatment building; Regional buildings on Naveh Yerek farm; "Deganit Ein Bar” bakery – Kibbutz Einat; Majdal Shams Industrial Zone.